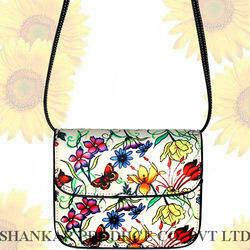 Description: This Bag is made with the combination of Leather with Digitally Printed Canavs. It is a multi utility bag which can be used as a Body Bag and also a Clutch Bag. It is having detachable shoulder staps inside. The Functional bag was develop especially for our ventilator CARAT. Through the big window in the bag you can good control the functions of the device. The wide belts care for a good wearing comfort as backpack or sling bag. Many attachment features at the bag allow an easy assembly at whell chair. This model is very unique and popular amongest our clients. This is one of the products of our company and is frequented in the quicker span. This is very special , because of it's design and multity functionality. 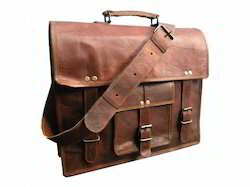 Accredited for our wide range of products, we are offering premium quality Multi Function Bag. Can be used to carry cash, keys, small lunch box, organiser, mobile, etc. These can be used as a corporate gift item with lot of customisation possibilities & Brand name printing at the front. Focusing on the quality of Multi Utility Bags, we aim to attain maximum client satisfaction. These bags are checked on various parameters before final delivery at the designation.